Glacier National Park in Montana is one of the most majestic national parks in America and during the fall it comes alive with color without the big summer crowds. It’s the best of both worlds and a photographer’s dream. From glacier carved majestic mountain peaks and turquoise alpine lakes to wildfire ravaged forests, all with the backdrop of vibrant autumn foliage, there are opportunities for unique compositions around every turn! 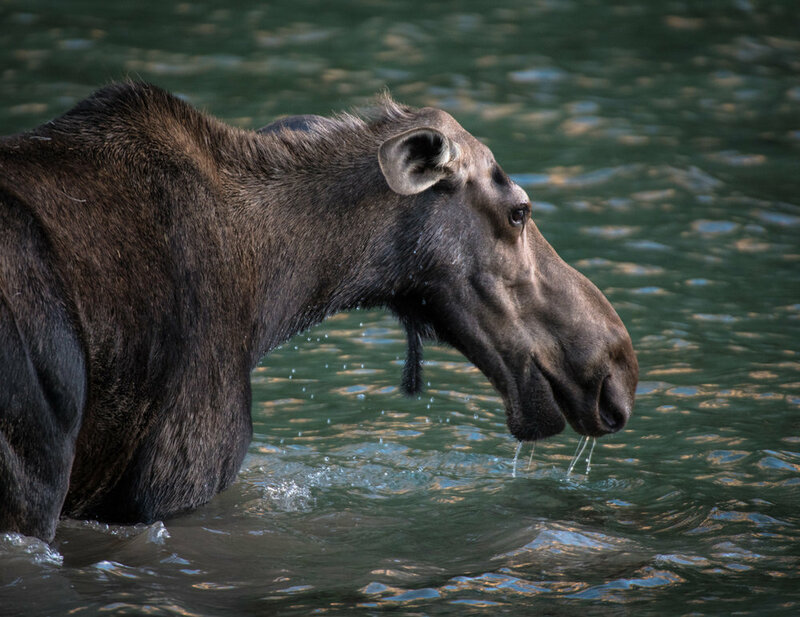 Additionally without the crowds, the wildlife in the park isn’t as shy and you can expect to see bears, mountain goats, bighorn sheep and even moose. On this 5 day Autumn Photography Workshop you will immerse yourself in some of the Rocky Mountains most scenic locations. You will be guided you to some of the most beautiful spots in the park including some off the beaten path, and provided with expert instruction on how best to capture the light and interesting compositions. The goal of the workshop is to give you the ability to explore, learn, and fine tune your photography skills both in the field as well in post processing development to bring your images to life. We will meet in the afternoon of Saturday September 14 (day 1) in the St. Mary Lodge for introductions and an early dinner before heading into the park for the late afternoon and into sunset. After the first day, we will meet well before sunrise to get to the best possible locations to chase the morning light and continue shooting until the sun is too high and light too harsh. We will break each day in the late morning until mid afternoon to eat and rest up for our afternoon/evening photography session. This will also be the time dedicated for post processing instruction in both Adobe Lightroom and Photoshop for those that are interested. We will gather a several hours before sunset to take advantage of the late afternoon sun and mountain shadows and continue photographing until the last of the evening light fades. The workshop will end after sunset on Wednesday September 18. The sun rises at approximately 7:00am and sets at 7:45pm during this time of the year. Temperatures can range from 30 degrees at night to 80 degrees during the day. For those that would like to include lodging as part of this workshop, standard single occupancy rooms have been secured at the St. Mary Lodge and charged at cost. While this time of year is not as crowded, lodging options are limited and can still fill quickly. So if you would like to handle your own lodging then it is strongly recommended that reservations are made at the same time as a workshop deposit and spot has been reserved. An adventure packed week in one of the most beautiful national parks in America! Photography locations will take us to nearly every corner of the park including Two Medicine, Lake McDonald, Logan Pass and Many Glacier. As stated previously there will be early mornings and late evenings but the days are structured to not wear anyone out and get the most enjoyment of the surroundings and scenery. In the field techniques and tips will be provided to help capture images correctly "in camera" with the goal being that part becomes second nature and students can then focus on the creative aspects of landscape and nature photography. Post processing instruction will run the gamut of importing and organizing files into Lightroom to processing images in Lightroom and Photoshop and finally prepping images for the internet or for print. I am an open book and willing to share any tips or tricks he's learned to help you turn your photos into art! Serious wildlife photographers will want to bring a 400mm or longer lens and teleconverter.